FDC series 3635 is 3M 3635-100 3M™ Light Enhancement Film - This is for a light box or channel letters that contain lighting elements that illuminate the front sign face and transmit some light to the viewer. The white sign face materials typically used in cabinets transmit only about 25% to 30%. With a 94% plus reflectivity increases light output for greater sign luminance. 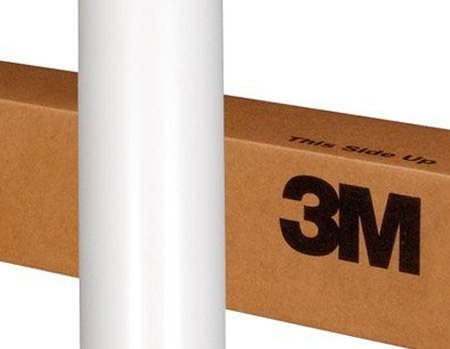 This product comes premasked by 3M. To order punched material, use part number 3685.